Surrey Homewares is the sister Company of Surrey Blinds and stocks a range of readymade Bedding, Cushions and Curtains. 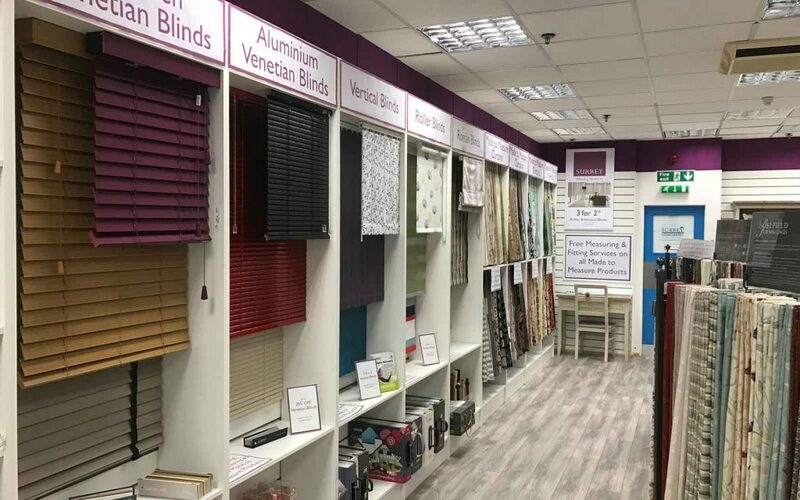 Being Located in, The Mall Shopping Centre, Camberley it also stocks a number of items to dress your home such as clocks, picture frames, candles and diffusers. So pop along to Surrey Homewares in Camberley Today.